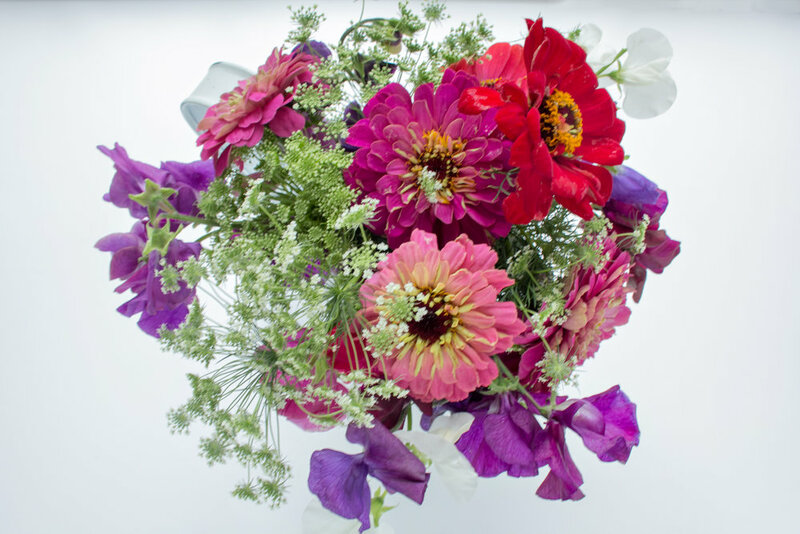 We offer beautiful Seasonal and Local Flowers and can present these in stunning Individual Bouquets. 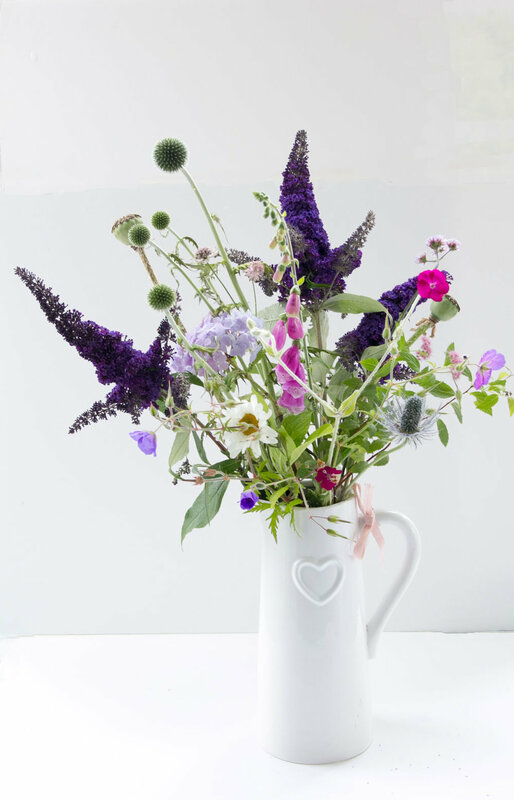 We also Offer a service providing fresh flowers every week including hire of vases. 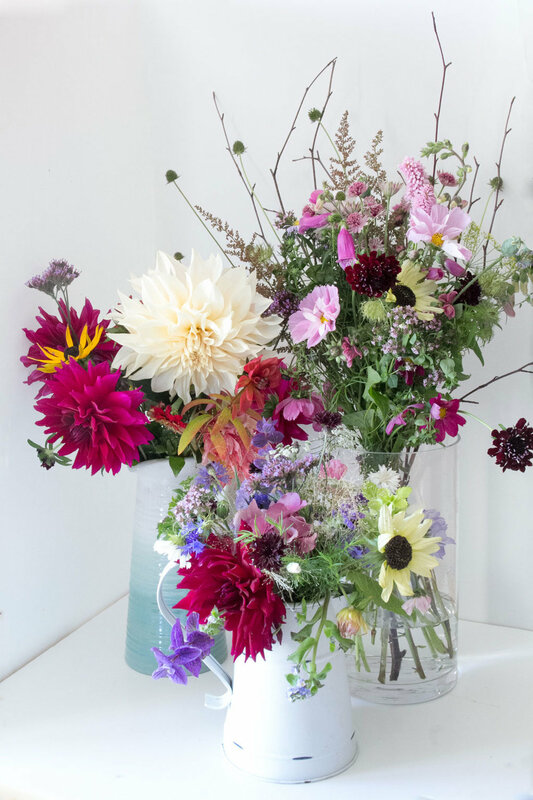 If you want an individual hand tied bunch of our lovely seasonal flowers delivered to your home on a regular basis, we can deliver within Fife direct to your home. Prices on request. Birthday and special bouquets from £30. Price includes delivery in Falkland. Contact us for deliveries further afield. Bunches of flowers start from £10, bouquets from £25. Jam jars of flowers are £5 each. 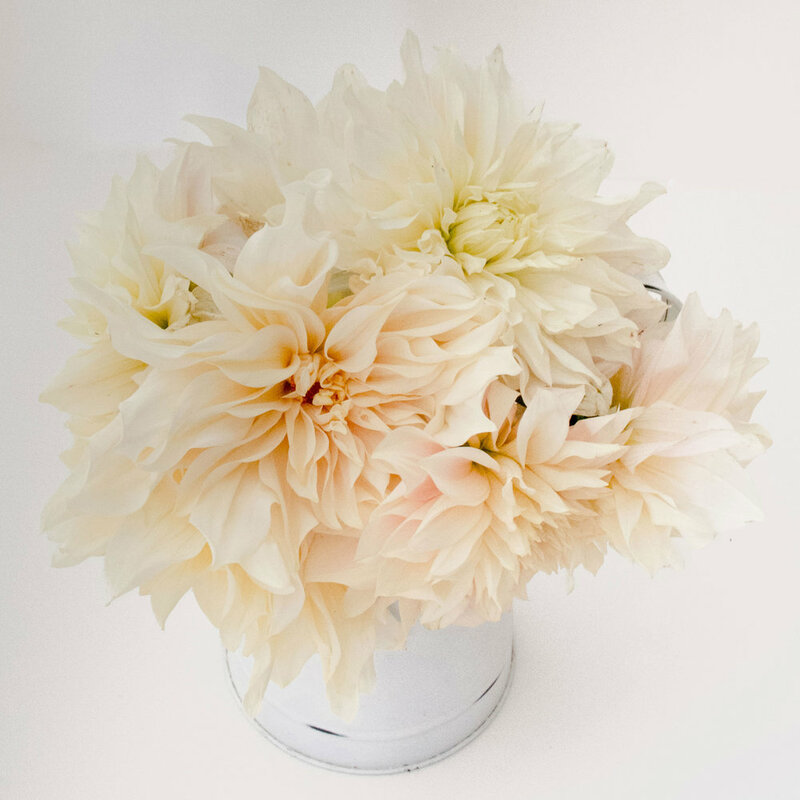 if you run a business, and would like our flowers styled to suit you and installed on a weekly basis, please contact us to discuss details and obtain a quote. We also provide regular flowers for holiday lets to include delivery and removal. Prices on request.